If you’ve been wondering when to or if you should use between moves storage service for your furniture, boxes, or excess “stuff” then you’ll want to keep reading. Today we’re talking about a few instances where between moves storage service could prove to be exceptionally helpful. Here at Big Boys Moving and Storage, we offer a wide variety of moving services from full-service residential moves to labor only moves. You may have also noticed, however, that we also offer storage solutions! 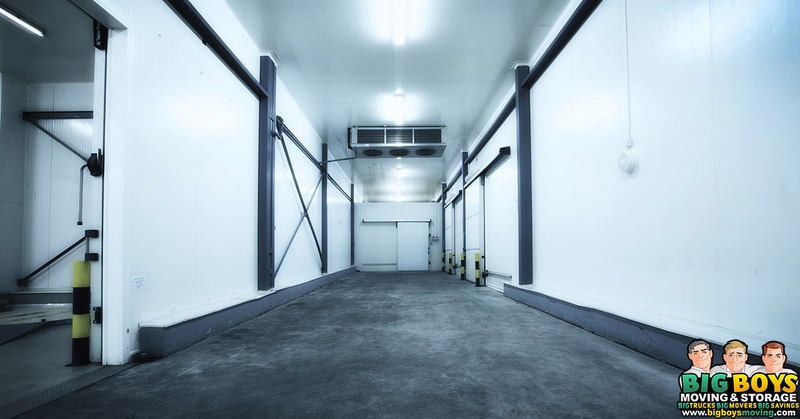 We have a large climate controlled secure storage facility because it just makes sense for so many of our clients who need that little extra space even as a temporary solution. When might you need to make use of between moves storage space? Things don’t always go to plan (especially when you’re planning a move!) and sometimes that means that the day before your move you’ll have an emergency out of town. This leaves you with a pending move, boxes and boxes of stuff, an old place you have to move out of, a new place you’re supposed to move in to and no idea what to do next. We’ve seen it happen before, but fortunately, it doesn’t have to spell disaster…at least not when you have Big Boys Moving and Storage on your side. This is the perfect time for our between moves storage service. Instead of having to leave everything you own in boxes in an empty apartment and instead of having to wait for your move to be completed before you rush out to take care of that emergency, set up between moves storage service and have those boxes securely stored in one of our climate-controlled storage facilities. When your lease is up and you’re planning a move to a new apartment complex but the apartment you want isn’t available for another couple of weeks, between moves storage service is the perfect solution. Instead of settling for the second best apartment, make use of our short-term storage services for a few weeks! That way you don’t have to settle for anything less than what you want and you can spend the next couple of weeks planning out the layout of the perfect apartment while you crash with friends, relax in a hotel room, or spend a little time back at home with your family. So you’ve arranged to move into a new condo and the hour before your moving truck shows up your new landlord calls to tell you that the last tenants have left the place a disaster. It’s going to take at least two more days to get your condo move-in ready and they just can’t allow you to move in today. The condo manager has agreed to pay for a couple of nights in a hotel to make up for the inconvenience but what do you do about all of these boxes since you have to be out of your apartment today? You give Big Boys Moving and Storage a call and ask about our between moves storage service. Instead of having our movers take your boxes to your new place, arrange to have everything taken to one of our temperature-controlled indoor storage units for the next few days. Sometimes our financial situations change and were forced to move out of that single-family home into a small apartment while we restructure our finances. When this happens it’s not uncommon to wind up with far too much stuff for your smaller new home. If you’re in a financial pinch then selling that extra stuff online could be the perfect solution, but what about the stuff that carries memories? If you’re having to downgrade your home to a much smaller place but can’t bring yourself to sell the things that won’t fit in your new place, get a small storage unit instead! Our cost-effective pricing structure means that anyone can make use of our storage facility no matter their budget. So you’re taking the leap and have decided to move in with your significant other. This is the start of a new era but it’s also the start of the merging process – merging your stuff with theirs and seeing who fits where in your new home. If you have too many collectibles or just too much stuff in general, your significant other may ask you to get rid of some of it. The problem is, this is stuff that you’ve spent years collecting and you can’t let go of it! Fortunately, you can make use of our climate-controlled security monitored storage unit to keep those collectibles in a safe place without having to give them up! It really doesn’t matter what you’re waiting for! If you have a move coming up but you are still waiting for something – perhaps your final inspection on your new home – between moves storage service is the solution you’ve been looking for! Our secure, climate controlled, and budget-friendly storage units give you an opportunity to take care of anything you need to take care of before your move while keeping your belongings safe and secure. Looking For Between Moves Storage Service You Can Trust? 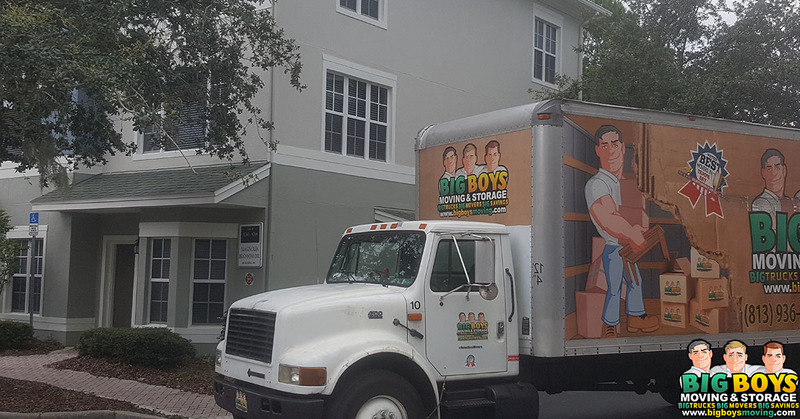 If you know that between moves storage service would be beneficial to your residential or corporate move, Big Boys Moving and Storage can help! We not only provide residential and corporate moving services in Tampa, but we also offer multiple storage solutions too! To find out more just give us a call at 813-936-2699!